The end of the year is a great time to look back on times spent with friends and family. Despite being, generally, a sucky year, my family was blessed with good health and good experiences. That good fortune allowed me to spend time on my personal passions: mountain biking and drinking craft beers. Funny enough, a lot of my mountain biking friends are craft beer fiends too – wonder twin powers activate! 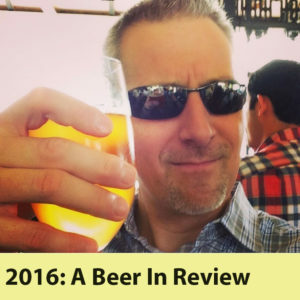 This year I decided to look back on 2016 through beer googles and it turned out to be a fun, boozy way to reflect on the year. So without further ado, here are my best beers of 2016. So 2016 sucked. Loads of great people left us and we elected a megalomaniac to lead the free world. Yet all was not lost! Although I didn’t get my hands on a few of my faves, no “Heady Topper” by Alchemist, no “Sip of Sunshine” by Lawson Finest Liquids and no “Red Wheelbarrow” by Maine Beer Co (and let’s remember that awesome beer makes a great holiday gift), on the whole, I drank some great beers in 2016! Here are my top 12 beers loosely ranked by my personal preference. I was lucky to get this one gifted by a friendly co-worker. I’ve had beers from Tree House before (courtesy of madman mountain biker Dave R) and I’ve loved every one of them. 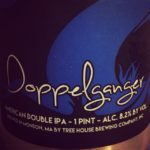 Doppelgänger was the only Tree House beer I got my hands on this year and it was fantastic. For my money, Tree House is making some of the best beers in America. I actually planned a trip to their brewery, in the middle of nowhere Mass, this summer but I called it off because at the time Tree House was limiting purchases to 8 cans. The can limit, along with long lines, the possibility of them selling out and it being a 90 minute drive each way made it a tough sell. 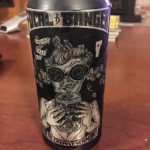 I recently lucked into Focal Banger by fellow beer enthusiast and mountain biker, “Johnny Shade.” Johnny was able to pick up Focal Banger at a small retail store in Watertown. Very shocking to see anything from The Alchemist available for retail in Mass. As I mentioned, Heady Topper did not find me this year but I really enjoyed Focal Banger. In what will soon feel like a broken record, Cutting Tiles was a hit with me. Since Trillium opened up a brewery in Canton, MA, only 8 minutes from my commuter rail station, Trillium has become an expensive habit. At $5 a can, I have to budget how much Trillium makes its way to the beer fridge but I usually make the trip at least once month. 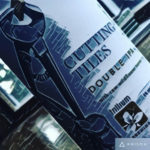 Cutting Tiles, and it’s varietals, has become my favorite beer from Trillium. Yep. 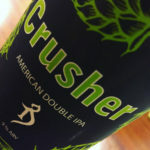 Same beer…with a different hop featured in the brew. This time it was citra. 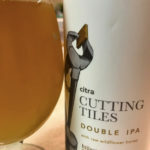 Cutting Tiles is brewed with wild honey, which I wouldn’t have thought I would like, but apparently, I like it. I like it a lot. Like I said, broken record. 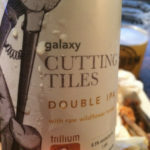 This is the third Cutting Tiles beer on the list and they make up three of the top five spots on this list. 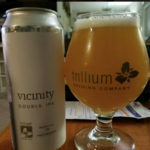 Part of the fun of looking back at the best beers I drank in 2016 is, well, if you had asked me what my favorite Trillium beer would have said Vicinity. Only when I looked at the scoring did I see that Cutting Tile varietals were consistently my favorite. Crusher snuck up on me. I hadn’t even heard of this beer until madman Dave R handed me one. Heck, I didn’t realize it was even from The Alchemist until I looked more closely at the can. I was very pleasantly surprised! 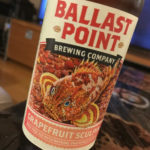 In living up to the name, this beer stands out from other, more floral and balanced beers from this brewery. It’s like a Heady Topper pushed to 11. Hoppier. More Bitter. Like Heady Topper on crack. Another local brewery. 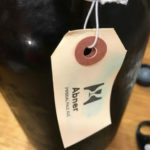 I’ve had a few great beers from Night Shift, Morph comes to mind but because each batch is different, the results can be uneven. 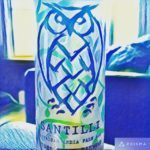 However, I had a few Santilli in 2016 and each one was fabulous. One of my favorite local brews from a Massachusetts brewery. I can still remember drinking this beer. It was in the Northeast Kingdom at Mike’s Tiki bar after a great day of mountain biking. Mike’s is an outside bar that caters to mountain bikers. It has great beer, a food truck and often has a band playing some sort of hippie-Greatful Dead type music (hey, it’s Vermont). Shaun Hill is some kind of beautiful beer genius. I haven’t had a bad beer from that brewery yet. 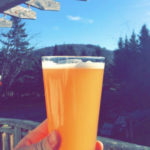 They don’t have much of a distribution outside of the NEK, but if you visit Burke mountain, you’ll find a number of establishments with Hill on tap. This is the first Trillium beer I had so it’s special to me. You know…like your first child. (kidding!) I didn’t know at the time but later learned that Vicinity was originally brewed and served at Boston’s Row 34 restaurant. Since both Trillium and Row 34 established themselves in Boston’s bustling Fort Point area, I can imagine the purveyors of both shared some awesome meals and beers together. I enjoyed this Double IPA after an epic day of riding 25 miles of the best trails in New England. Drinking awesome beer with awesome guys is pretty much a recipe for a fantastic evening. Oh, and did I mention we were enjoying awesome pizza at Parker Pie? This beer is great and this perfect setting made the experience special. 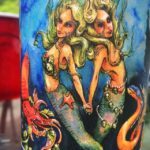 “Undine Double IPA” by Down the Road Beer Co. I might have forgotten this beer if it wasn’t for this end of year review. Only in reviewing my top beer ratings did this beer return to my mind. I’ve had their Pukwudgie Pale Ale from this local brewery before but I still don’t know much about this relatively new brewery. I love supporting local brewers and I’ll keep an eye out for more of their brews in 2017.